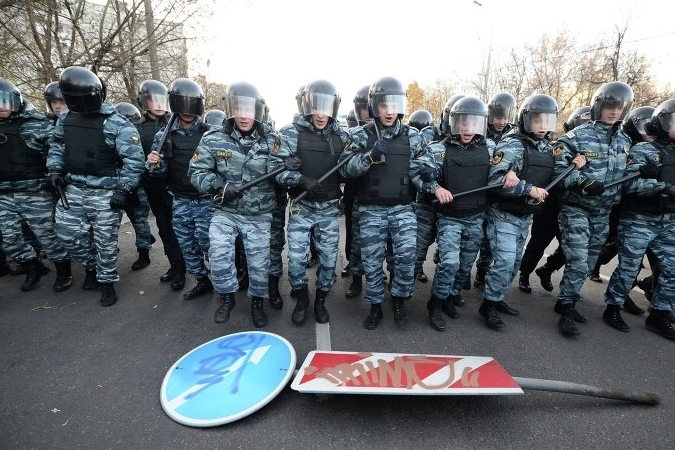 Policemen are maintaining order after mass riots in the West Biryulyovo district of Moscow. According to the police, around 300 OMON officers are on the streets, checking passersby’s documents, and detaining people of non-Slavic appearance. Meanwhile, the main focus of these events is the vegetable base¹, whose closing was demanded by protestors. It is already not in operation, as they are keeping order there. According to some sources, the police are checking the premises with the help of APCs. Operatives in the capital are also trying to find out who owns a vehicle that was found during the raid in the fruit and vegetable base in Biryulyovo. The police specified that several million roubles lay inside the car, along with three non-lethal² pistols, two knives and a baseball bat, Interfax reports. There are grounds to assume that unrest in Moscow can recommence. On Tuesday, October 15th, Muslims will mark their Kurban-Bayram holiday. It is possible that nationalists will try to spoil the holiday. Will vegetables rise in price? Moscow authorities claim that the suspension of activity of the fruit and vegetable base in Biryulyovo will not lead to disruptions with providing citizens with food products. “Information has begun to spread on the Internet – in our opinion, from the owners of this base – that the suspension of its work can lead to a lack of or an increase in price of fruits and vegetables. I officially announce, that all this is untrue. No kind of alleged price increase or lack of fruit and vegetable products in the city of Moscow is expected.” said the deputy mayor of Moscow, Aleksandr Gorbenko. During the past weekend, citizens of the capital’s district West Biryulyovo staged pogroms. About 400 people were detained. Trouble began after an immigrant from the Caucasus knifed a local resident, who tried to defend his girlfriend. People who took to the streets demanded that the criminal be found, the local fruit and vegetable base be liquidated, and illegal immigrants in the area be dealt with. After this, particularly active citizens clashed with the OMON. Immediately following Sunday’s pogroms, the head of the MVD Vladimir Kolokoltsev demanded that the situation in wholesale vegetable bases in Moscow must be dealt with. So far, the police have not detained anyone in connection with the murder of Scherbakov. The suspect is believed to be a shawarma vender. Guest # 1254: (In reference to title of the article) And before the pogroms they couldn’t? 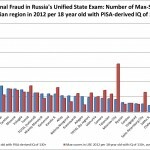 Guest # 7784: It’s time to send all the protestors to permanent residence in Siberia. 2. травматический – traumatic. A term used to describe weapons with less-than-lethal capabilities. Gun ownership is subject to strict regulation in Russia, which permits the civilian population to purchase these non-lethal weapons instead of their more powerful variants.